We can take parties of friends, families or you may even want to test yourself and spend time learning from your guide. Our aim is to provide the best trip to suit your abilities thus giving a safe but thrilling ride with friendly company and a fun atmosphere along the way. Whether you would like to spend a week cycling all over the Lake District or just an odd day in on e area we can provide routes to suit all of your needs. We can divide your days of adventure up by trying other activities such as walking, sailing, climbing, pony trekking or canoeing. We can arrange pleasure rides or distance cycling along routes which pass stone circles and ancient monuments following centuries old Roman roads and packhorse trails. To add spice to your trip there can be short trips across lakes on passenger boats, river crossings, rides over mountains and fellsides, through forests or open moorland. 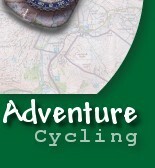 Whatever you want to do with your time cycling in the Lakes then Adventure Cycling can arrange it all for you.